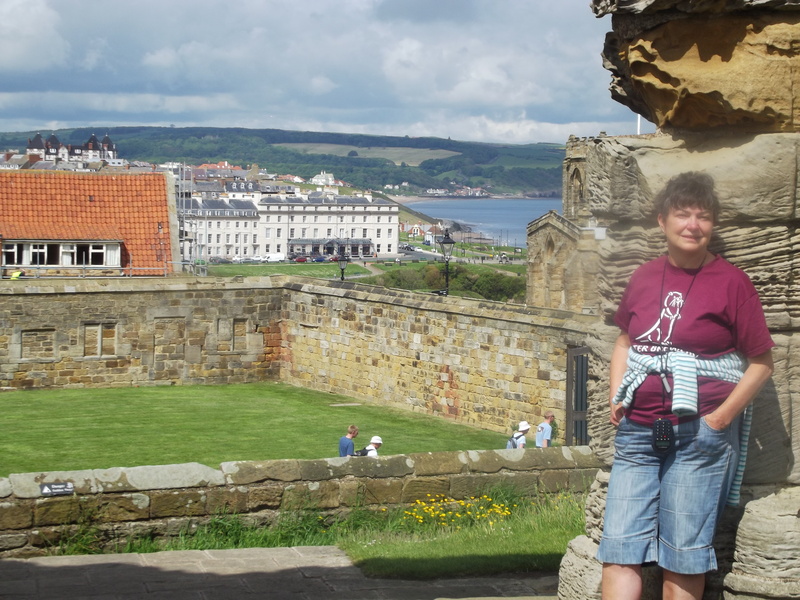 Whitby Abbey is a splendid, magnificent ruin standing dramatically above the town. it can be viewed from far away and is both mysterious and romantic… and maybe a little creepy! The original abbey was founded in 657AD by King Osiu of Northumbria and built on the site of an old Roman Signal Station. King Osiu appointed a niece of the first Christian king of Northumbria to be the abbess, she became St Hilda. The abbey was home to both monks and nuns. although no doubt strictly separated; one of the servants of the monks was a cattle boy called Caedmon who became one of the greatest poets of the Saxon age after seeing a vision and having a mystical experience. A dreadful attack by the Vikings on the abbey in 867 led it to be abandoned and it wasn’t refounded until after the Norman Conquest, in 1078. This abbey lasted for over five hundred years until it fell victim to Henry VIII’s purge of monasteries, convents, abbeys and religious orders in 1540. 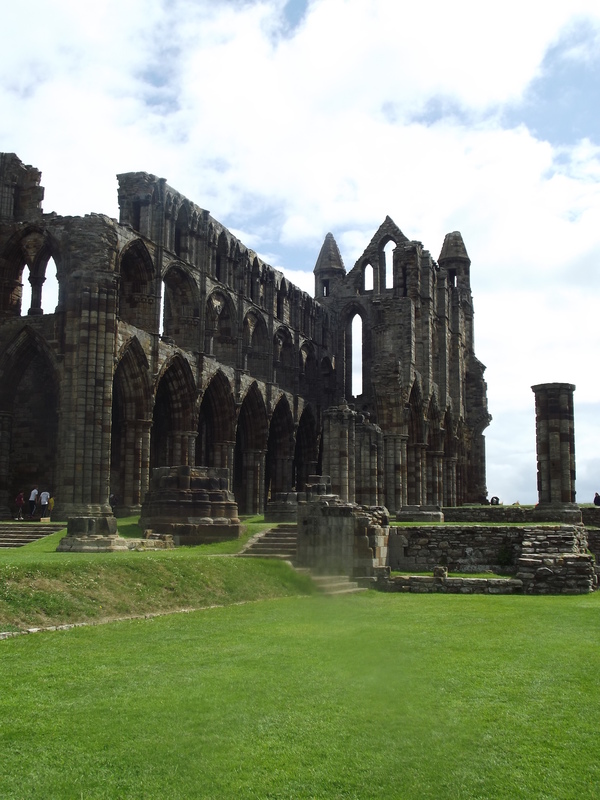 The buildings fell into ruin, and local people plundered the old buildings for stone, however, enough of it was left to serve as a landmark for seafarers and an inspiration for Bram Stoker who visited the town of Whitby in 1890.